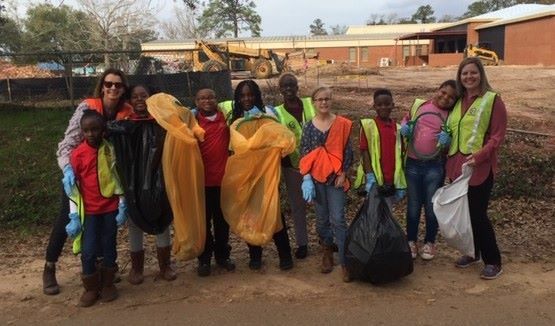 Students from Harper Elementary School, Brookwood's Wednesday Warriors and the Thomasville Community Resource Center 21st Century After school Learning Program picked up litter on the sidewalk and roadways surrounding Harper Elementary school. In 30 minutes they collected two and 1/2 30 gallon bags of litter and a 1/2 a 30 gallon bag of recyclable items. Among the items collected were discarded lottery tickets, Styrofoam cups, food containers, beer and miniature liquor bottles, a disposed diaper and more. County Commissioners, City Manager & County Manager all recognized as Leaders against litter. 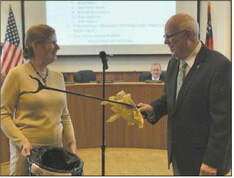 County Commissioner Wiley Grady was presented with a litter gripper by Julie Murphree at a recent county commission meeting. 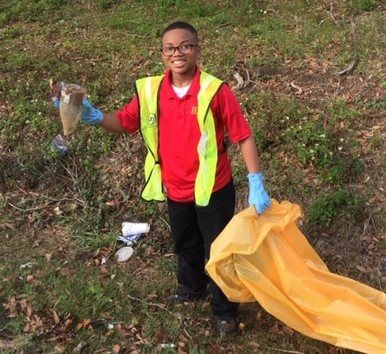 The honor designates Grady as a Leader Against Litter in his work with the county and he was chosen as the first recipient of the tool for the year 2019. 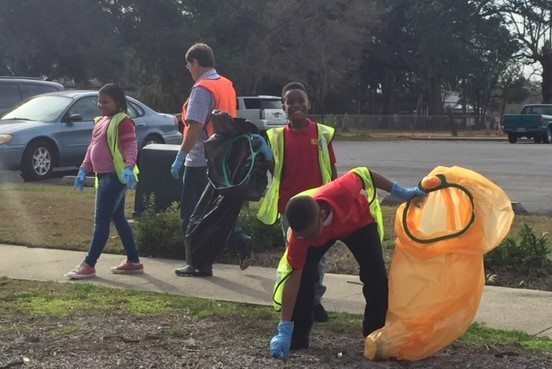 Additionally City Manager Alan Carson and Thomas County Manager Mike Stephenson were given grippers for there help in spreading awareness about litter prevention in Thomasville and Thomas County, through several radio spots with WPAX 1240 AM Stereo/ 103.7 FM and WTUF 106.3FM. 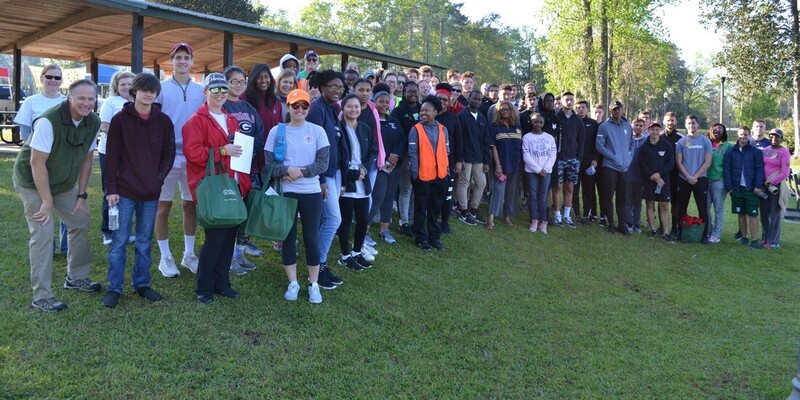 Community Volunteers - Volunteers in Thomas County, including the city of Thomasville, Ochlocknee and Meigs came together in the month of March top participate in several community cleanups, centered around KTCB's Great American Cleanup which took place on March 23rd. 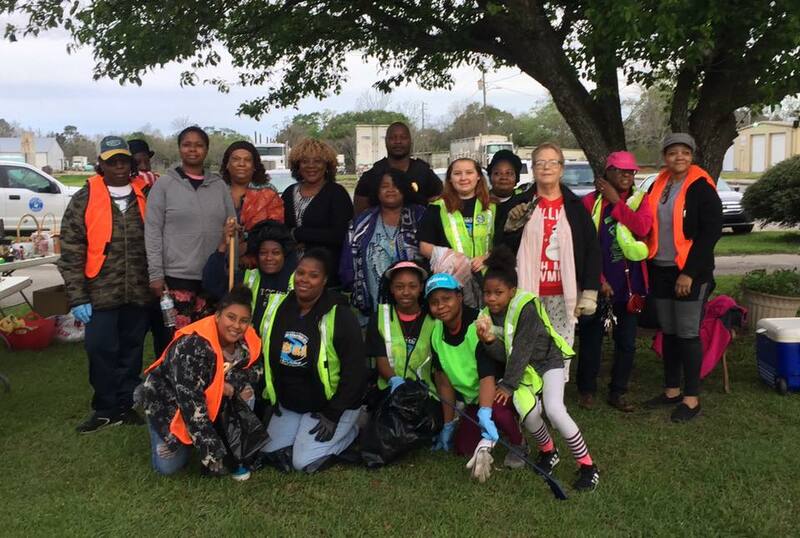 Each and every volunteer who took time to help make their community a better, more beautiful place to live is truly a Leader Against Litter. 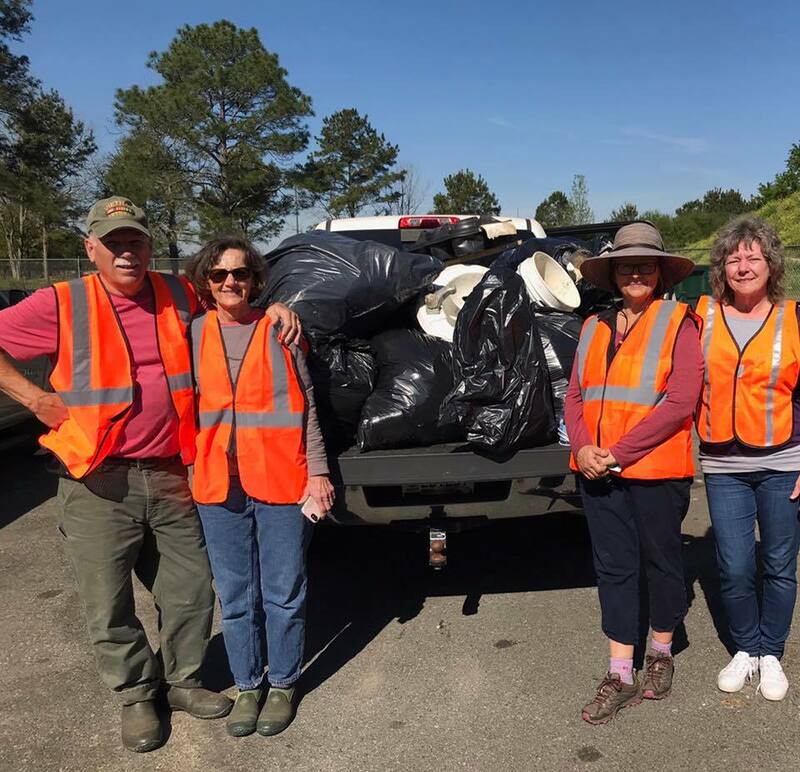 KTCB would like to recognize Jamie and Karen Hickey as our April Leaders Against Litter. 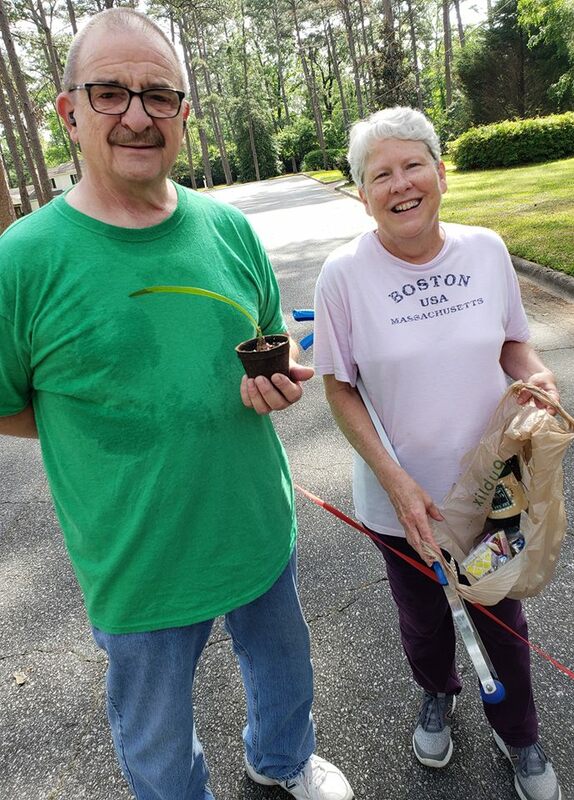 Jamie & Karen have been walking their dog Scruffy in their neighborhood for about a year now and the amount of litter they have been seeing has just been heartbreaking! Karen decided at the first of 2019 to start picking up the litter she encountered as she walked. Jamie reports that they always have at least 2 bags of trash collected everyday after their 30-40 minute walk. They hope that their small effort helps to inspire more walkers to do the same on their walks. Jamie Hickey has lived in Thomasville all his life and graduated from Thomasville High in 1972. Karen moved to Thomasville in the late 70’s. They both are retired and travel a lot, in the US and abroad. Jamie says "We love our community and have lived on Tuxedo for 15 years. We love hiking on our trips and walking in our neighborhood with our two dogs." Jamie worked for 40 years in the electrical distribution business in management and sales and Karen just retired after 38 years with Flowers Foods as VP of Compensation and Benefits. They are both active in their church (Pineland Baptist) as Sunday school teachers and Karen is the Thomas County WMU director. If you know the Hickey's or get a chance to meet them, make sure to tell them they are doing a great job!